I am wondering if buying this policy is really a good move and if the cost of this product is reasonable? We can afford the cost without changing our lifestyle but our advisor is not independent so the policy would be sold by its institution and that’s what makes me wary. I am a DIY investor managing our savings using a couch potato strategy of plain vanilla ETFs. I am wondering if I would be better off investing that money by myself even with taxes ahead? We have no health problems and we can expect to live a long time, which means the $500,000 may depreciate a lot until we die. A: Alessandro, you’re doing well, and with that comes different opportunities such as life insurance. There are a couple of points in your question worth discussing. First, the insurance. Why do you want it? And does it make financial sense to have it? Second, your mortgage. Is the interest tax-deductible? It can be used to insure against market declines around the time of death. If markets decline, market losses may be covered by the insurance. Knowing this may allow you to invest a little more aggressively than you would without the insurance. Does the insurance make sense? It depends. I would generally need to know your age, your investment total, allocation, Adjusted Cost Base of your investments, and how you plan to use your money in retirement. Hey, maybe you plan to spend everything and just leave your TFSA and your home to your children? No need for insurance then. Before investing in a permanent policy I’d recommend a financial plan first. Sometimes a concept looks good on its own but doesn’t always work as planned when integrated into everything else you’re doing. Calculate what the $7,105 premium would grow to if invested at 5% (your call on the interest rate) over the next 10 years. I get $93,834. Now use the rule of 72 to calculate how long it will take the $93,834 to double. At 5% (72/5 = 14.4) it will take about 14 years to double. Now put the two together. If you are 45 and start investing the $7,105 annually at 5% you will have $93,834 at age 55. In 14 years (age 69) it will double to about $187,668. At age 84 it will be about $375,336. I am sure you can work though the example and find the age when investing beats the insurance. But one word of caution: The only problem with doing simple calculations like this to answer complex problems is they can lead you down the wrong path. If you invest this money in a non-registered account you’ll likely have to pay tax on interest, dividends, or capital gains while it is growing and then more tax when you sell. Remember the insurance payout is tax-free. Also, if the amount of insurance you are purchasing is based on a simple capital gains projection, you may be asked to purchase more insurance than needed. Think about it. If you are purchasing insurance, less money is going to investments. Your estate will have a lower investment value and therefore a lower capital gain liability. 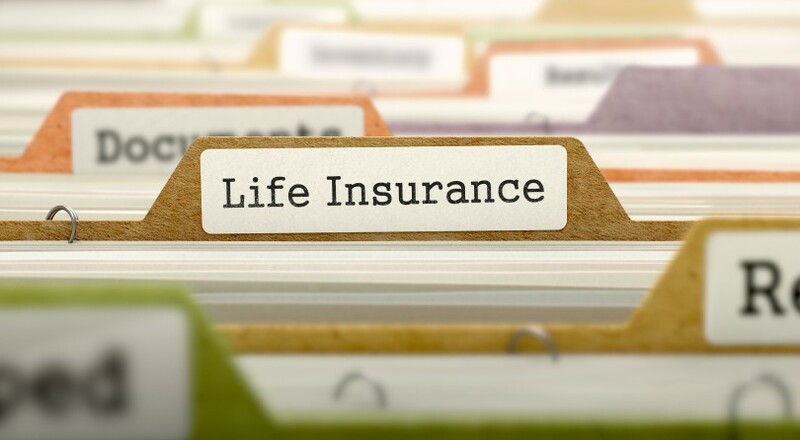 Bottom line: Life insurance can be an excellent estate planning tool when used properly. I quickly wanted to touch on your mortgage. You have about $100,000 on your mortgage and $100,000 in non-registered investments. Is your mortgage interest tax deductible? If not, consider a debt swap. Sell your investments, pay off your mortgage, borrow against your home and invest. That leaves you in the same situation but now your interest is tax deductible. There are a couple of tax issues to watch for but for someone like you in a high tax bracket, you will cut your effective interest in half. Thanks for your question, Alessandro, and I’m sure this gives you enough to consider before making your final decision. Allan Norman is a Certified Financial Planner and Chartered Investment Manager with Atlantis Financial. How should a 24-year-old invest a $500,000 inheritance?